[www.inewsguyana.com] –Private sector organizations and individuals have found themselves in the middle of a political battle that could very well hurt businesses and the prospects of investment, both foreign and local. This has stemmed from the apparent political grandstanding or gridlock as some may call it, in relation to the establishment of the Public Procurement Commission (PPC), the holding of Local Government Elections this year and the passage of the Anti –Money Laundering and Countering the Financing of Terrorism (AML/CFT) Amendment Bill. Outgoing President of the Georgetown Chamber of Commerce and Industry Clinton Urling, speaking at the Chamber’s Annual General Meeting (AGM) today (Thursday, March 27) called on the political opposition and the government to put aside what he claimed was narrow, partisan and political agendas and do what is necessary. The government is currently pushing for the passage of the AML/CFT Bill, while the Alliance For Change (AFC) has made it clear that they will not support the Bill unless the administration establishes the PPC, while the main opposition party – A Partnership for National Unity (APNU) has amendments of its own to the principal Act. 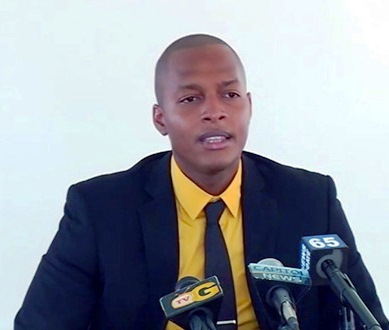 In relation to Local Government Elections, the administration had claimed that the executing agency – Guyana Elections Commission – was not prepared and that citizens are not ready, however the combined Opposition is insisting that the elections must be held on or before August 01. Outgoing President of the GCCI, Clinton Urling. Among other demands were for there to be program incentives, for the Guyana Revenue Authority to speed up the time it takes to process imports and exports, modern intellectual property laws and a stronger Foreign Ministry to create links for the private sector to the global community among others. Urling in his final speech as President recognized all these as important if the local private sector is to develop and continue to contribute to the economy. He fears the consequences that the absence of these things could have on the private sector. Urling’s demands are not new; as a matter of fact he noted that the GCCI has been engaging the relevant authorities on these issues and will continue to do so until their goals are achieved. Stakeholders from all corners of society have come out in support of one or the other but in the end it is the Members of Parliament that will have to ensure that the voices of these people are heard.